When using School Loop Plus, one must first assign grade export rights to a school- or district-designated person. That person may, in turn, assign rights to others in the same school site. These rights may be granted to anyone with a principal, assistant principal, staff, or system admin account. 1. 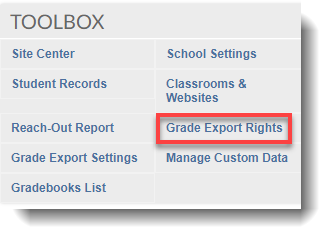 Login to your School Loop account and click Grade Export Rights in the Toolbox menu. 2. There are two types of rights that you can grant access to. 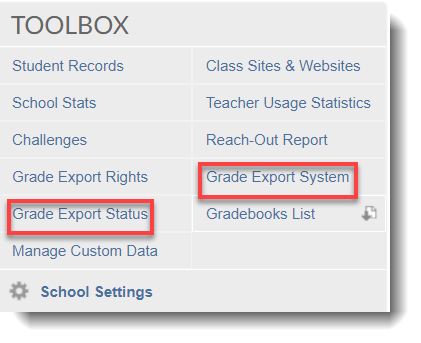 b. Grade Export Status - Users will get to see the status of teachers who have submitted their grades. 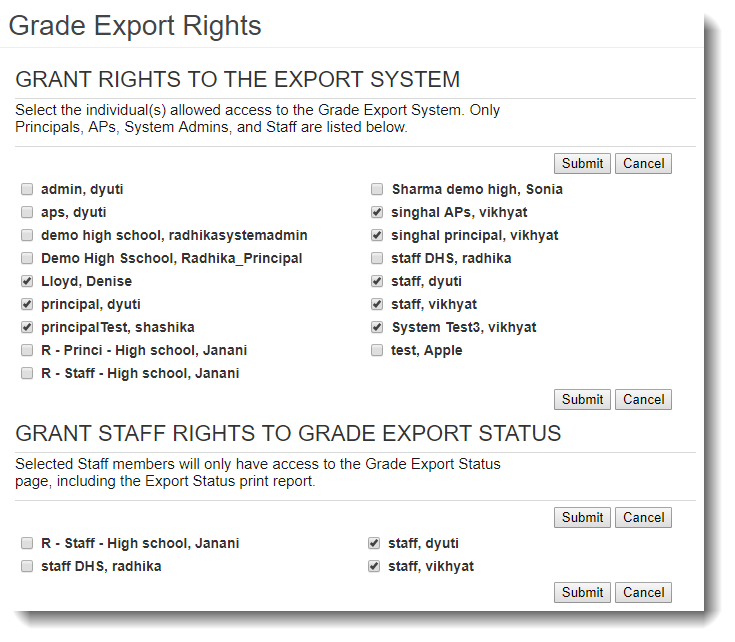 Users granted with Grade Export Rights should be able to see the option under the Toolbox menu. You may either see both or one depending on which right was given to you.